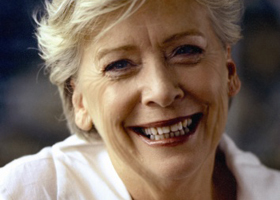 Thanks to her numerous books, her line of gourmet products and her appearance on ABC’s popular TV series The Cook and the Chef, Maggie Beer has become one of Australia’s most iconic culinary figures. 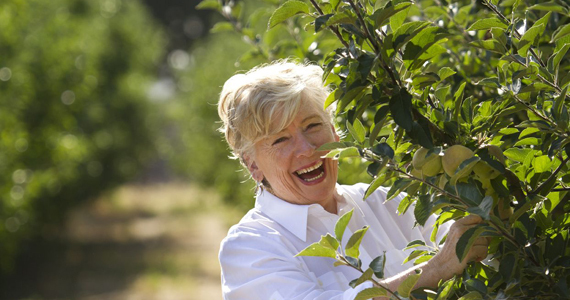 Having owned and operated the Pheasant Farm in the Barossa Valley for nearly 15 years before closing and since re-opening as Maggie Beer’s Farm Shop, her career now spans food production as well as food writing. Maggie has a passion for cooking local, seasonal food, and encourages people to understand the value of fresh, quality produce. In 2011 she was appointed a Member of the Order of Australia (AM) for her service to tourism and hospitality. Perfect 'morning after' food, Mushroom Bruschetta is a great way to get through leftover mushrooms and create an impressive family breakfast with minimal effort. Make the most of Christmas panetttone or leftover bread with Maggie Beer's delicious bread and butter pudding - a classic recipe for using up everything in the kitchen. Toss a can of chickpeas and a dressing together to transform your leftover roast vegies into this hearty lunch salad. This is Maggie's take on a dish she savoured in the eighties at Mistress Augustine's of Adelaide - a restaurant way ahead of it's time. Apples, rosemary and honey are a delightful combination. As part of a puff pastry tart with verjuice and ice-cream, they become a perfect winter-time dessert. There's a richness about baking with red wine and pastry that's indescribably 'winter'. Quince with cavolo nero adds a warm, textured touch. Although it may seem like there are many steps between you and this finished dish, never fear, the numbers will only make it easier. Kale chips are taking to our store and supermarket shelves like wildflower - learn here how to make your own at home. Crepes are both breakfast and dessert fare. Best enjoyed with yoghurt or your favourite condiment of choice. Making pizzas is all about the interaction that occurs: try having all the ingredients laid out for guests to create their own designs. You could add apple, pear or quince to a rhubarb crumble, depending on the season.